If anyone fancies a game of Rounders over the next 7 weeks. Suitable for all abilities just a bit of fun. 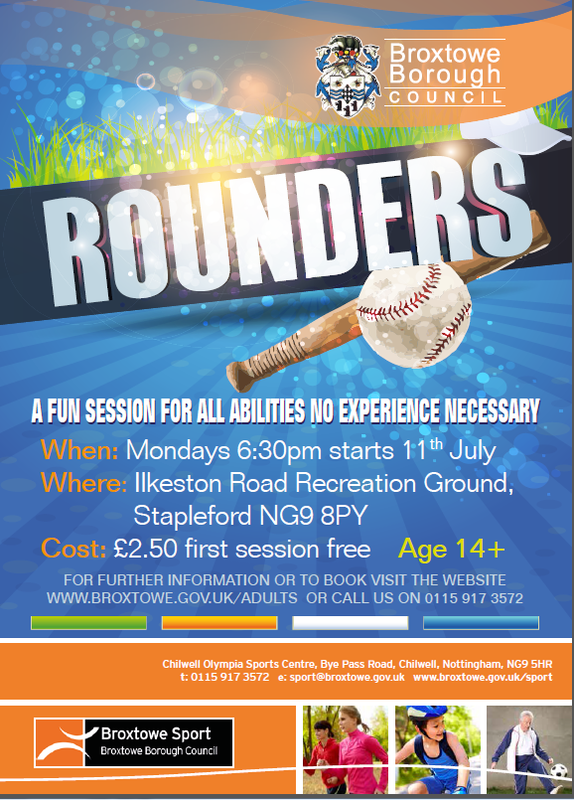 Rounders in the park sessions starting Monday 11th July at Ilkeston Road Recreation Ground, come along and have some fun!